Trimble LOADRITE products can help you increase profitability, improve operational efficiency and get control of your inventory. 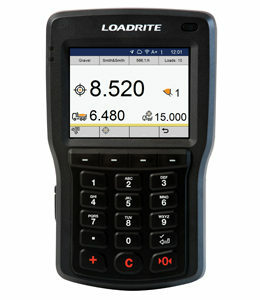 For a full list of Weighing and Reporting Solutions, please visit the Trimble LOADRITE website. 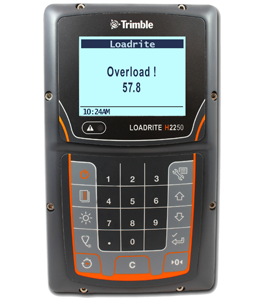 Trimble LOADRITE 360 is a connected quarry solution that can holistically improve loadout operation through performance metric tracking, job data automation, and real-time 360º job visibility. Trimble LOADRITE conveyor belt scales and data management tools drive productivity and machine performance decisions by monitoring quarry performance, productivity and stockpile inventory. Trimble LOADRITE offers a range of on board weighing systems designed for wheel loaders, from entry-level through advanced functionality options. Designed and engineered specifically for bucket excavators, Trimble LOADRITE™ X-Series™ excavator scales use proprietary Multi-Dimensional Compensation (MDC)™ weighing technology to achieve accurate weighing performance with no disruption to the operation of the excavator, over a wide range of operating conditions. Ensure compliance to SOLAS regulations, track and improve container handling with accurate weight information. The Trimble® LOADRITE® L2180 weighing system verify the weights of every container moved, so you can provide accurate information for logistics compliance and reporting. The weight information can also be used to analyze your operation for efficiency improvement and maintenance cost reduction. Counting and recording haul truck cycles is a tedious and error-prone exercise that few operators enjoy. Fleet managers also welcome any steps that remove workload from haul truck operators that allow them to focus on safe and productive material movement. For data-entry operators, the interpretation and alignment of paper-based tally sheets can be a complex and frustrating activity. So the arrival of the new LOADRITE H2250 haul truck monitor from Trimble, signals a welcome relief from these issues. InsightHQ from Trimble LOADRITE provides visibility to respond to issues, optimize production and productivity in real time. 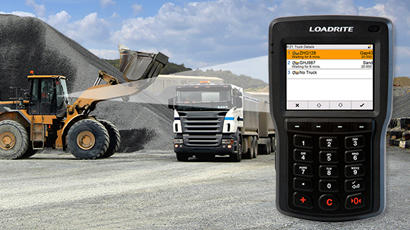 With the Trimble LOADRITE Material Management System installed on your computer you can turn your Trimble LOADRITE onboard scale into a business management tool. 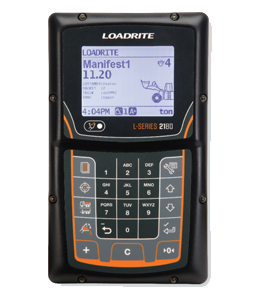 MMS enables you to gather load data from your Trimble LOADRITE scale and transfer it across your site in a secure, paperless manner.